Businesses typically have processes for running almost every aspect of their operation. They operate according to processes in order to save time, reduce mistakes and maximize effectiveness. The sales department shouldn't be any different. 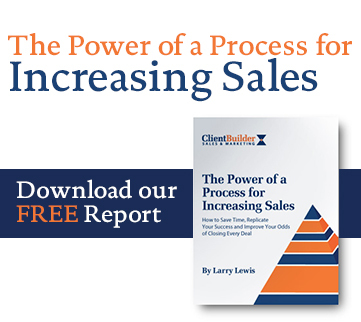 This report provides an overview of the Client Builder Selling Process and why it work's in today's hyper-competitive sales environment.